The image of the capital crime and drugs in America, which gave him the 80’s TV series Miami Vice , has now been transformed into a thriving metropolis which has been dubbed the “Casablanca of America,” the ” Magic City “and most recently, as” America’s Millennium “. All these names symbolize what really characterizes the rest of Miami American cities-their identity as multicultural center. 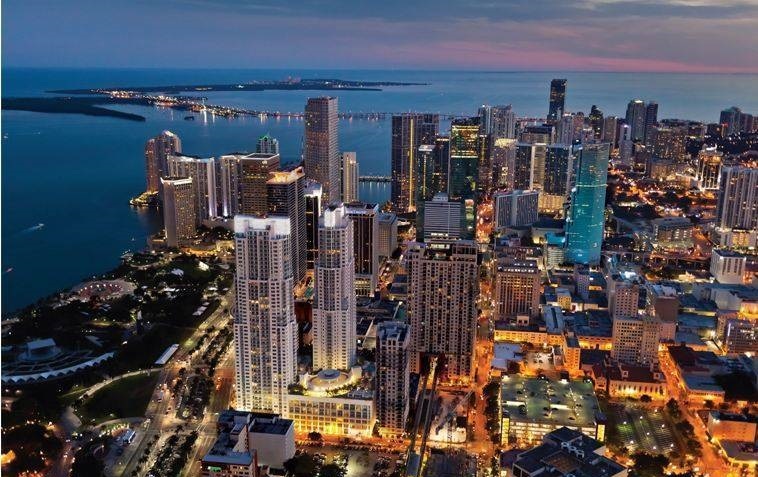 Miami is the gateway to South America and Central America and is the third most popular city in the United States , as far as tourism is concerned (after Los Angeles and New York ). It can be said that in reality, Miami is a Latin American city to. 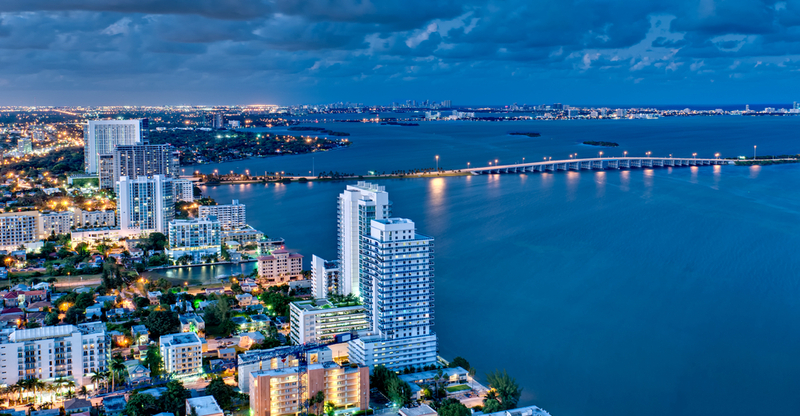 Miami is famous for its sunny weather, its nightlife and cuisine. Located on the southern coast of Florida , between a swamp and a protective reef, Miami was founded 100 years ago, when the magnate Henry Flagler extended his railroad to carry citrus frost-free zones. The development was slow until the Florida land boom in the 20s. During the “dry law”, Al Capone moved to Miami, where all the action was in Chicago . After World War II, the Mafia moved to Miami and later, once Fidel Castro took power in Cuba in 1959, thousands of Cuban refugees also settled in the city. It was not long until he was established as the Miami Latin capital in the U.S. -. A great mass of immigrants who came to the city during the 80’s cultural environment created Cubans in Miami inspired residents other Latin American countries ( Colombia , Dominican Republic , Nicaragua , Haiti and others) to escape poverty and oppressive governments of their countries and emigrate. So now the Spanish is more widespread than English. Miami is not only one of the most modern American cities (the second largest in Florida after Jacksonville), but is also one of the most exciting, exotic and cosmopolitan. 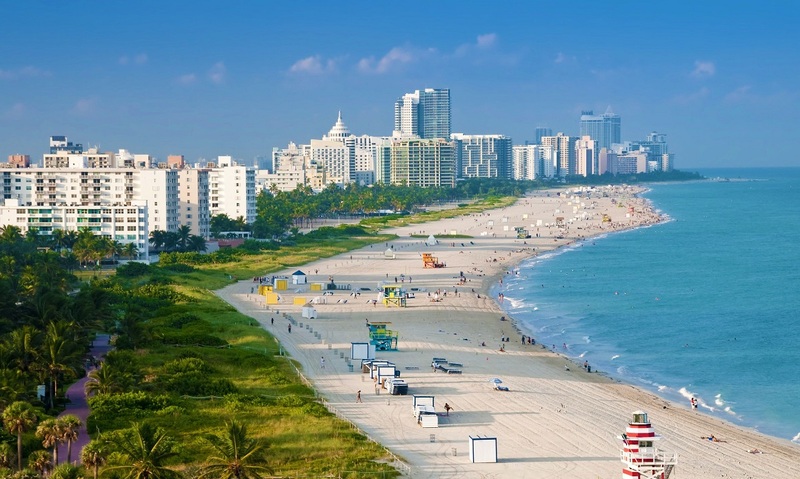 Miami, known as Greater Miami and the Beaches or just Greater Miami and encompasses several islands and inland communities, including two cities-Miami and Miami Beach. 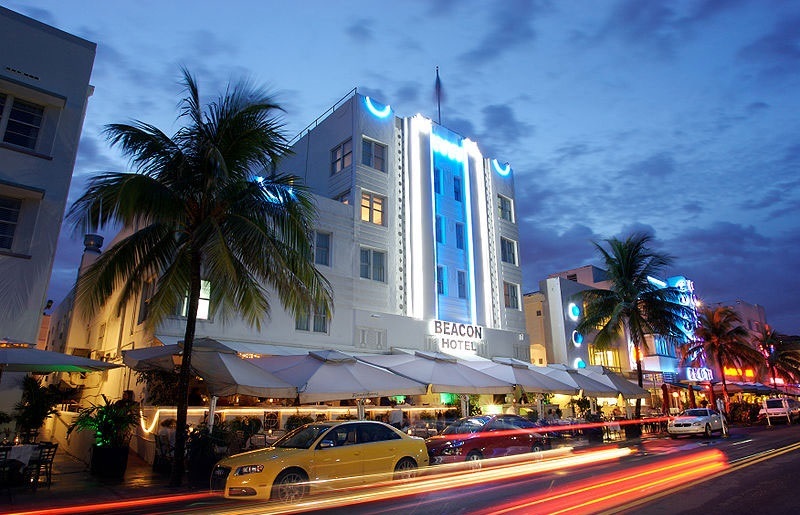 One of the attractions of Miami is the diversity of their neighborhoods or areas, from the skyscrapers of downtown Miami (the commercial heart of the city) to Little Havana, home to the Cuban community, or the modern South Beach Miami Beach . A South Beach is generally known as “Miami” – with its Art Deco buildings in pastel colors, the clear sky in South Florida, the blue ocean, white sand beaches and palm trees. Greater Miami is also a meeting trade, finance, culture, sport, entertainment, transportation and tourism, which, not surprisingly, are the main source of revenue for the city. 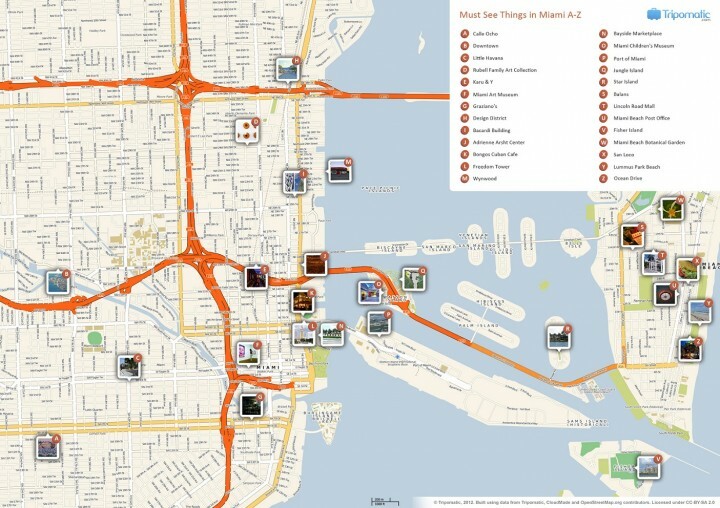 The Port of Miami , located in the center, is the port of vessels world’s largest cruise ships, and welcomes more than three million passengers a year. 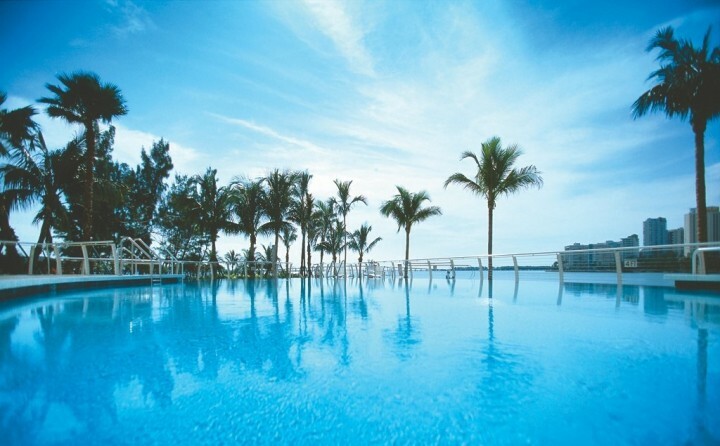 Besides its importance in the cruise industry, Miami Beach, is known worldwide for the row of hotels that run their “golden coast”, large mansions and facilities for outdoor recreation. The inhabitants of the city give the impression that there is nothing more important than a morning run along the promenade, sunbathe or go shopping in the afternoon, dinner out at night and dance until dawn. Its subtropical climate ensures warm weather year round with plenty of sunshine, and the lifestyle here is based more on the amusement at work. greatness of the city is that in recent years has absorbed different cultures its multi-ethnic population and therefore has features of all-now considered to Miami as a model community of XXI century and a powerful example of American makeover. Despite this, not all stories of immigrants reflect happiness. Example of this is the sad story of Elian Gonzales and his attempt to leave Cuba on a raft with his mother in 1999. His mother died in the attempt to get U.S. citizenship for their child and the case caused the greatest diplomatic crisis between EE. UU. and the Castro government in recent years. There are also several drawbacks related to the diversity of its population but yet Miami is essentially a city founded on the ideals of liberation by immigrants, looking at it as an opportunity to get ahead. Miami is the “city of the future”. hotels walking their “golden coast”, their big mansions and facilities for outdoor recreation. The inhabitants of the city give the impression that there is nothing more important than a morning run along the promenade, sunbathe or go shopping in the afternoon, dinner out at night and dance until dawn. Its subtropical climate ensures warm weather year round with plenty of sunshine, and the lifestyle here is based more on the amusement at work.